Selected Villas for rent near Shotz (Mauritius) - Contact us now! This innovative open air beach bar has become Flic en Flac village’s hip hangout and attracts a mix of tourists and locals, of all ages. 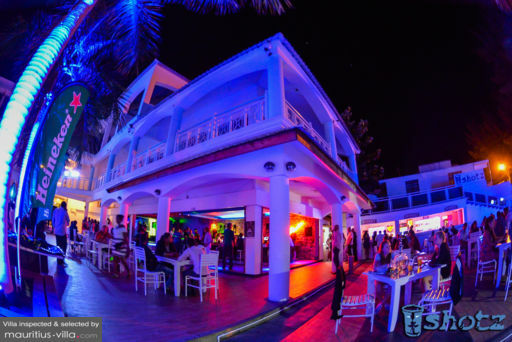 It serves a variety of cocktails and mocktails on its spacious terrace where entertainment ranges from rock bands to international DJs.